Three candidates for D.C. Mayor participated in a debate at American University Thursday, Sept. 18. American University's Kennedy Political Union held the D.C. Mayoral forum at 7 p.m. 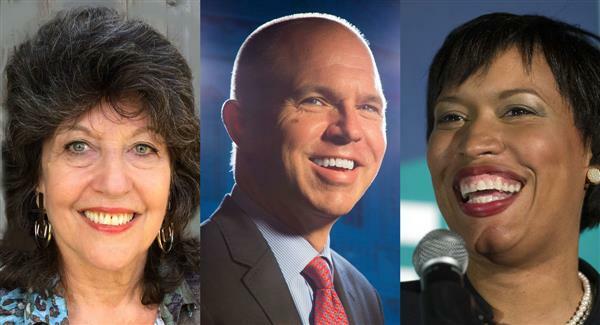 The three candidates were Carol Schwartz (I), Muriel Bowser (D), and David A. Catania (I). The event also included a media panel with WTOP commentator and Washington Post columnist Clinton Yates, and Patrick Madden and Kavitha Cardozo of WAMU. Bowser: Mr. Catania has a strange way of taking credit for everything. Another personal note about the candidates: Schwartz says she has never purchased anything online. Bowser and Catania say they have. Olympics in 2024? Bowser and Catania have interest. Schwartz flatly says no. More personal notes: Catania has never been to Nattionals Park. Also, he was once a left-handed second basemen (unheard of).